Tinusaur and Digispark – should we compare? How is it better than ****** ? How is it different from ****** ? 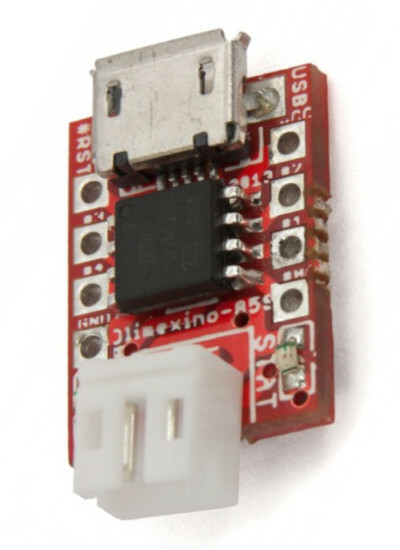 First of all you should not compare the Tinusaur powered by Atmel ATtiny85 microcontroller to things like Raspberry Pi (or any other platform running 32/64-bit RISK processor) or Arduino (running on ATmega or similar). In fact, the Tinusaur should be compared only to something that has 8 KB (kilobytes) program memory and 512B (bytes) data memory, has also 5 or 6 input/output connectors. Why the Tinusaur even exists? The Tinusaur project concept is LEARN BY DOING THINGS. 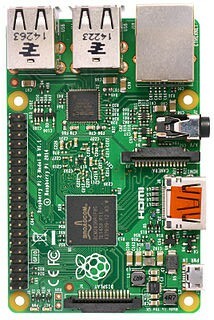 That mean if you want learn how something works you should create one yourself – from scratch if possible. The opposite to that would be to order something from Internet, open the box, connect some wires, copy/paste code from website, see that the LED blinks … and that’s all. Period. 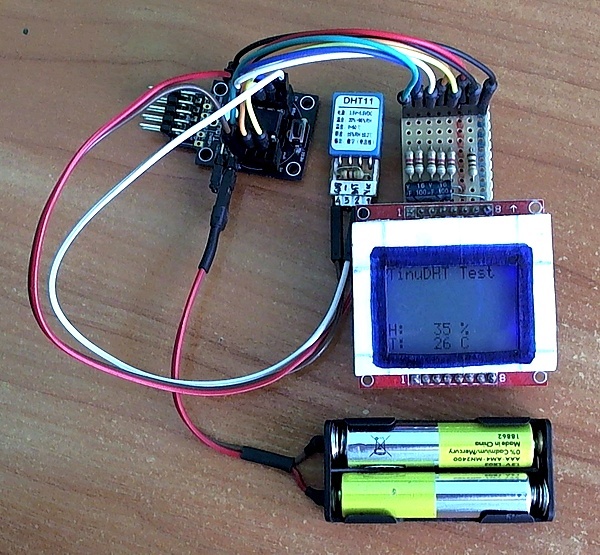 So, if you want to create the simplest possible microcontroller system … the Tinusaur is your friend. 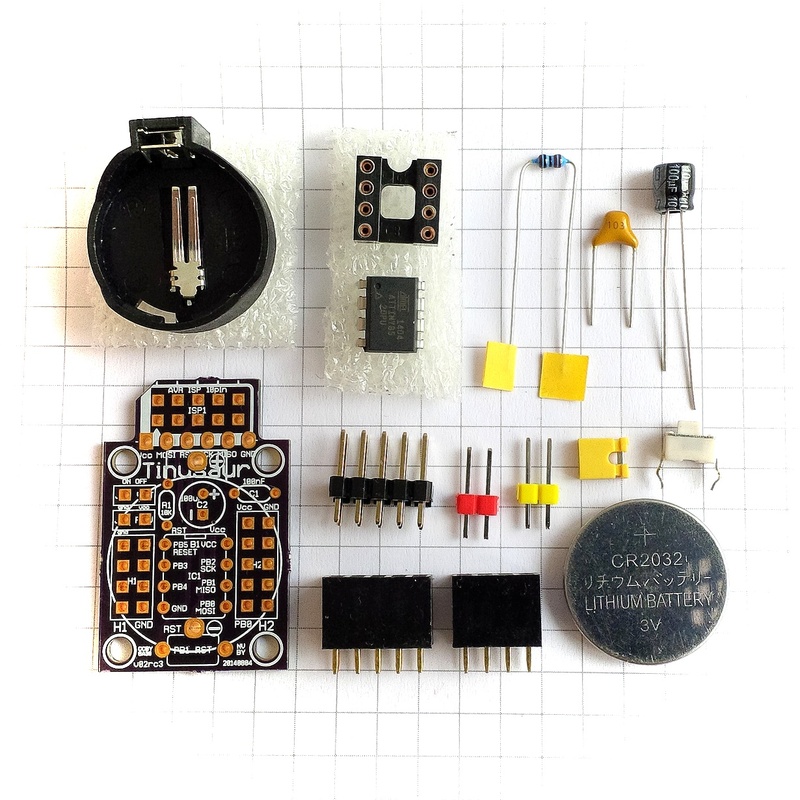 It is a small plastic bag package that has all the parts that you need to assemble your own system powered by Atmel ATtiny85 microcontroller. You need to have soldering iron though. 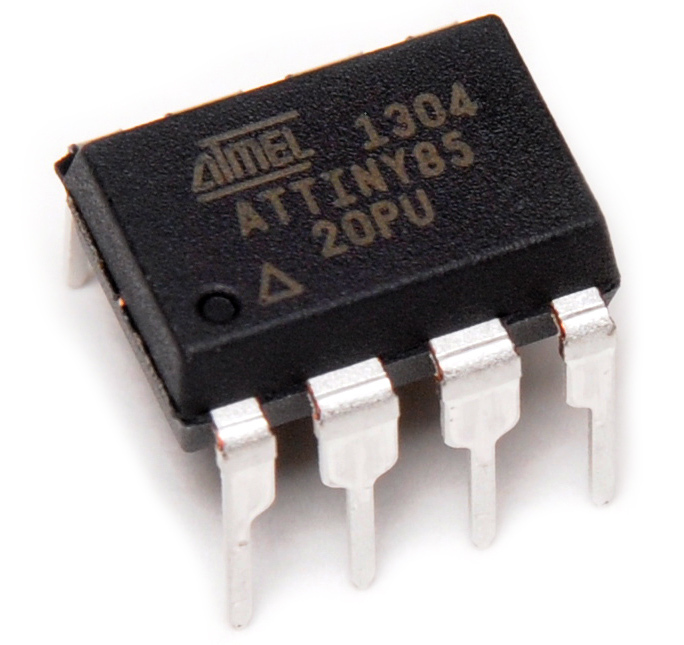 Then, you can write some simple programs following the tutorials here on this website (or elsewhere, if you prefer) and from this point on it is little different from any other ATtiny85 based board. If you’re still not convinced why it is not possible to compare it other more powerful platforms here are some technical parameters. Weight 45 gr. 28 gr. 9 gr. It is obvious that these 3 product categories are very different. 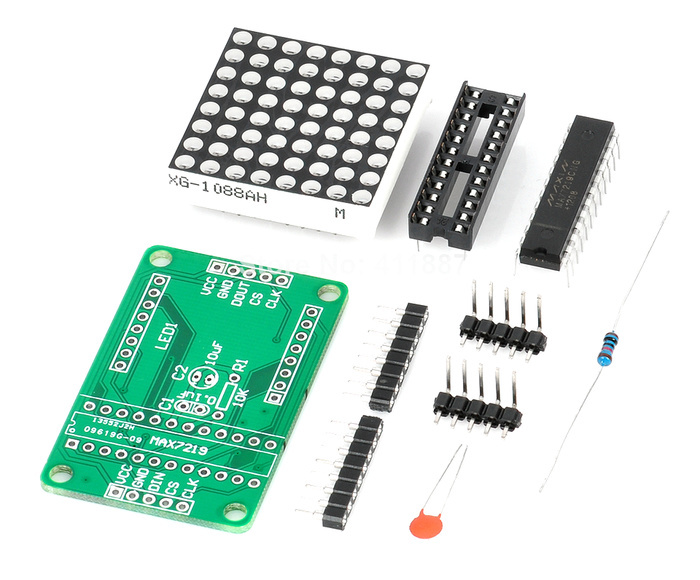 Worth mentioning that the price of the Tinusaur board with all the parts could go as low as 2 USD or less if produced in thousands pcs. Digispark by Digistump is GREAT! It is actually the Digispark that we should compare the Tinusaur to. 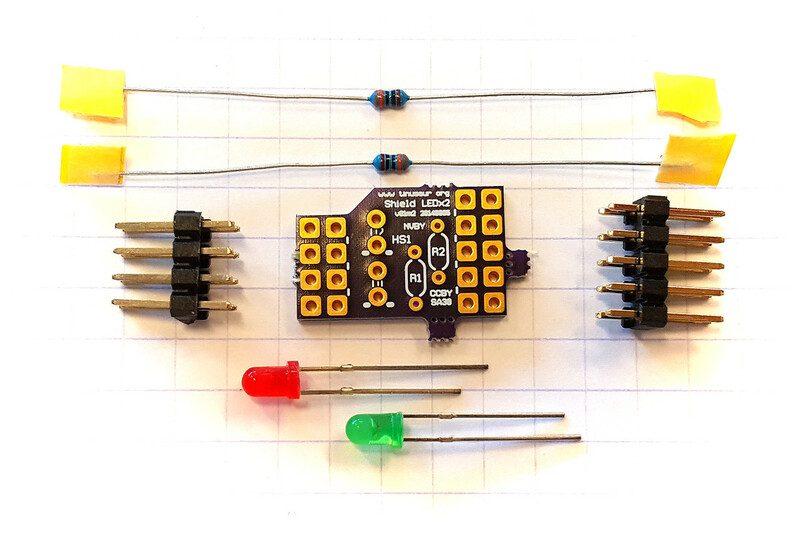 You can assemble it yourself thus learn one more thing – how to solder. You can use all of the 8KB flash memory because you don’t need what’s call bootloader (needed for the Digispark USB connection) that takes about 2 KB so you have less than 6 KB left for programs. It is cheap and will get cheaper – down to 2 USD and we start producing in thousands. 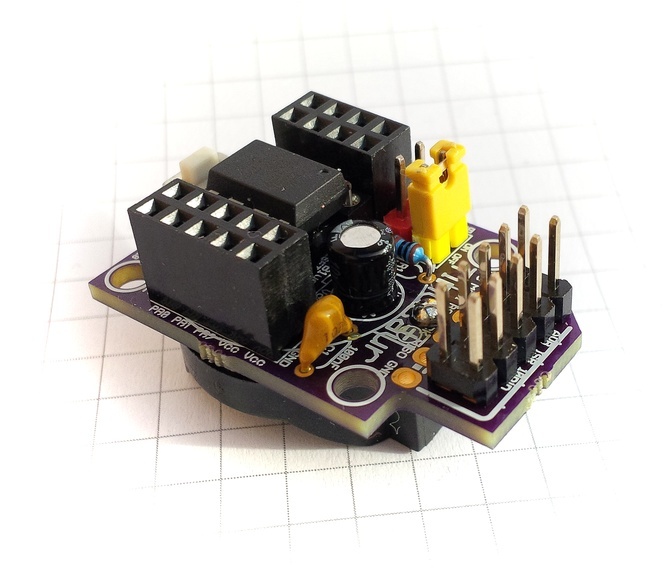 Another thing to mention is that the original high-quality Digispark by Digistump is 8.95 USD. You can still buy the generic quality clone for under 2 USD on various websites. The Tinusaur has its own advantages that make it unique for its specific audience. 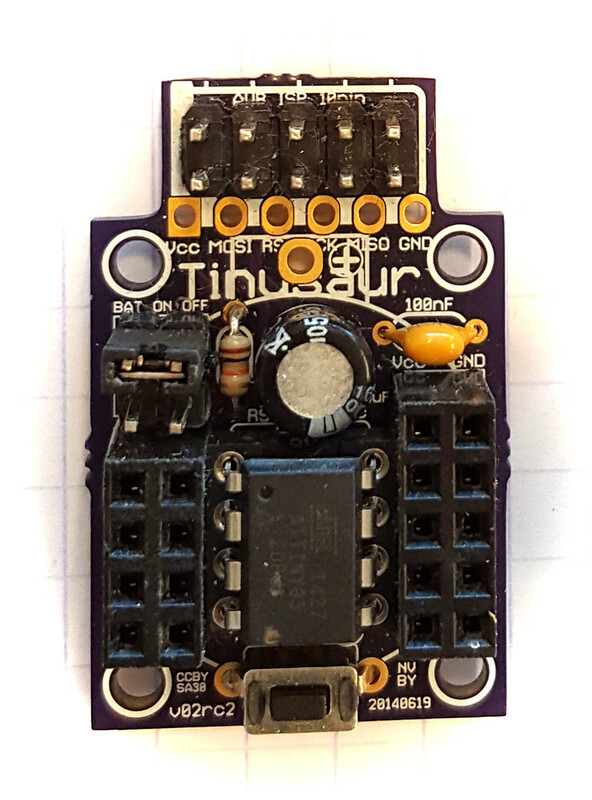 And let’s not forget the the Tinusaur Project consist not only of Tinusaur Board but also the guides, tutorials and the projects based on it. 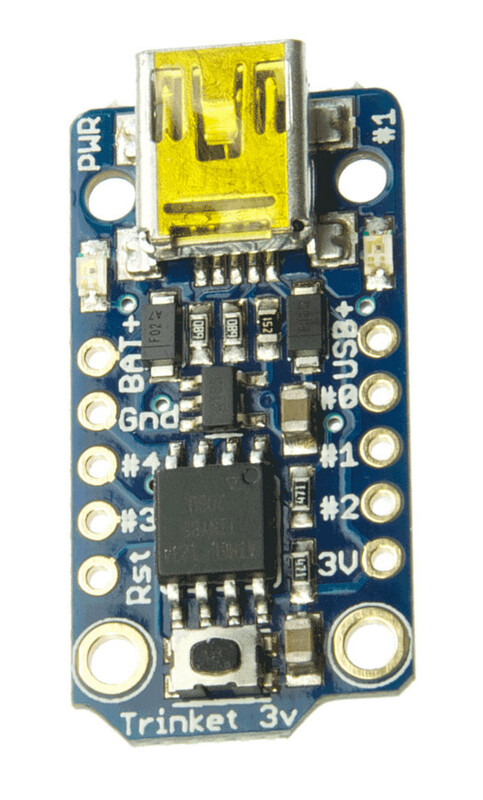 Ever wanted to do a project with that cheap DHT11 temperature/humidity sensor and did not want to go the Arduino way but with a simple ATtiny85? 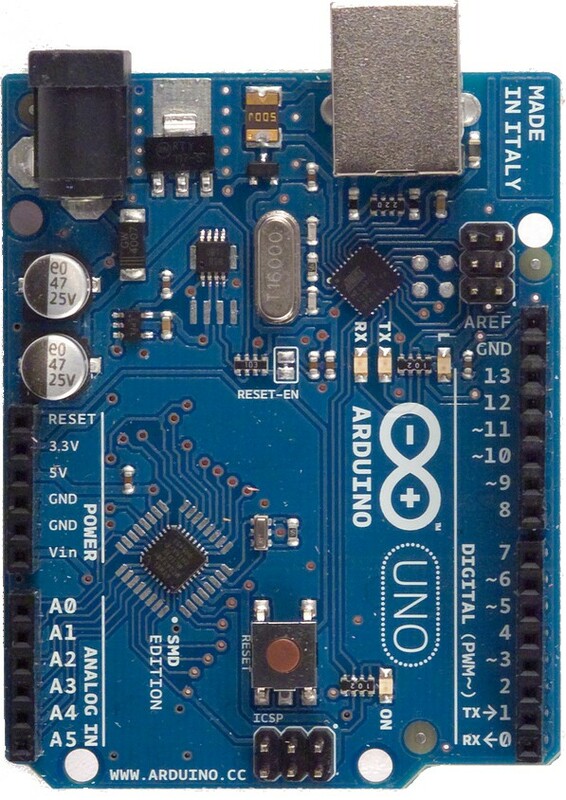 You probably know already about the issues with the existing Arduino based libraries running on the ATtiny microcontrollers, but can’t deal with them. TinuDHT is our answer to this. TinuDHT library is based on DHT11Lib code. 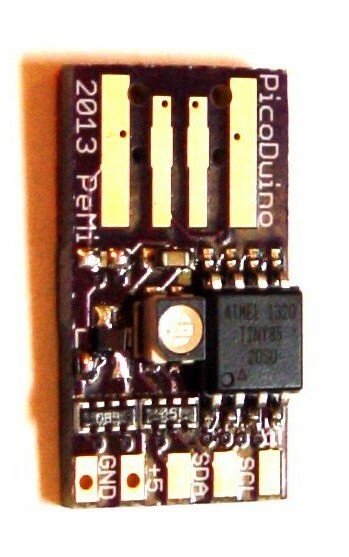 It was adapted for ATtiny, removed Arduino dependencies and timing was adjusted to work well on ATtiny85 at 1 MHz. There are few other changes and optimizations for speed and size. Please go to TinuDHT page to see the full document. The source code of the TinuDHT library is available at https://bitbucket.org/tinusaur/tinudht.